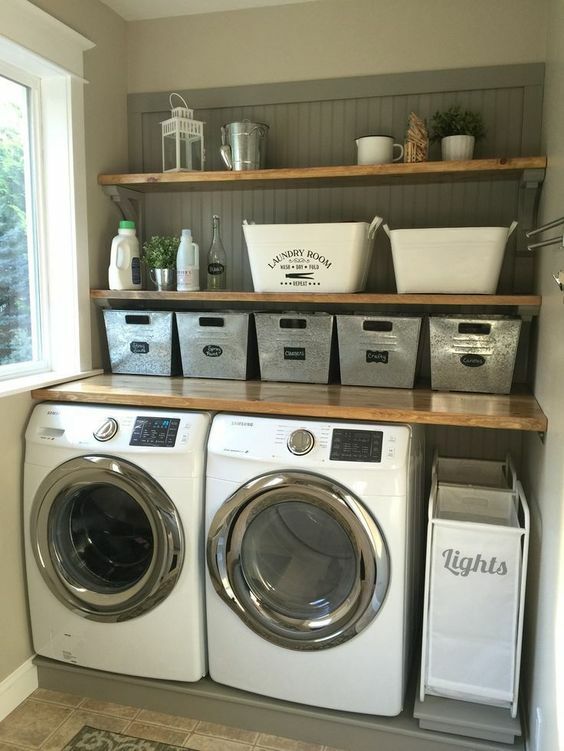 Let's be honest we all want that perfect laundry room with plenty of storage and enough space to fold our laundry and iron our cloths. But sometimes we just can not have that, so we really just have to make it work! Believe me! I get it. Keeping your laundry room clean is like keeping the back seat of your car clean. In which we sometimes think is impossible. BUT have no fear, not your regular realtor is here to give you some tips and tricks on how to avoid laundry room chaos. . . and as for your car situation, well that is a problem I can not help you with. . . at least not today! Your Laundry Room Choas Away! 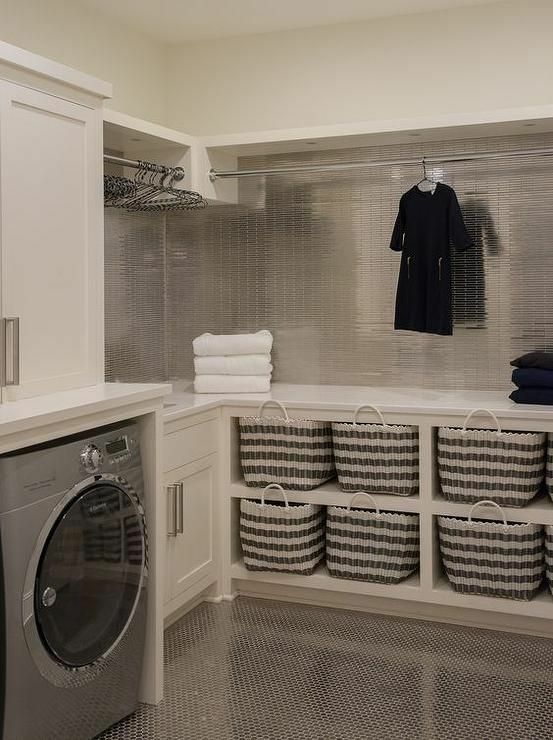 1 - When it comes to organizing your laundry room, avoid plastic bins for any kind of use. 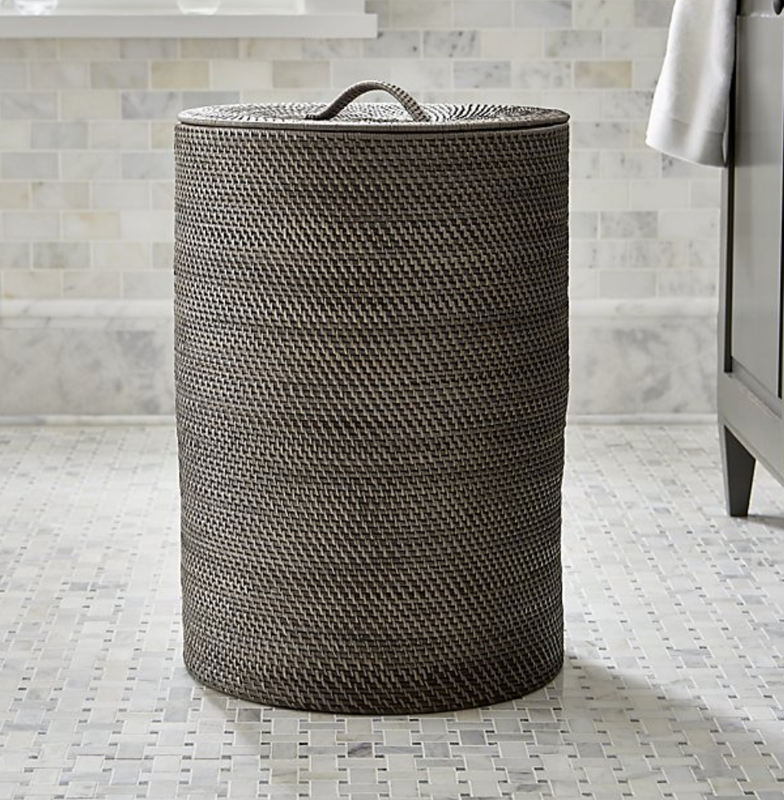 Woven or cloth basket are you best investment because they help prevent odor smells from becoming trapped. I recommend having a basket for each family member that way it makes it easier to transport clothes from the bedroom to the laundry room. 2 - I think overflow control is the biggest issue when it comes to trying to keep your laundry room clean. But hey, let's be real, we cannot do our laundry every day. I bet the majority of the population does their laundry on Sunday's. That is six long days of just dirty laundry that is just pilling up. And although we find it really easy to just throw the cloth is the room and shut the door, there is a way to keep it clean. My best advice when it comes to overflow control is to first organize all of your laundry soap and stain removers on to a tray. A metal basket or tray is most likely your best bet because sometimes these laundry items drip. With a mental tray or basket, it is 100% easier to keep clean because it is easier to wipe down. Like I recommend in step one, have a laundry basket for each family member or even whites, colors, towels and delicates. Make labels so you know which basket is which and create a space in you laundry room you can easily ask these baskets to transport these items from the basket to the washer. 3 - Every laundry room is different. But if you have the space to create a air dry section. Honestly I could go on for days about how you can DYI, for low cost, air dry rack in your laundry room. That is why below I show I have attached several way to do so. If you anything like me, you will greatly appreciate the visuals. I found that a hanging rod works best, but you are more than welcome to create a retractable wall-mount, in which I truly believe that this will work better in smaller laundry room.